Living near Fairview has its perks and disadvantages. For one, it is not as crowded and polluted as Manila or even the other parts of Quezon City. On the other hand, this area needs a lot of innovation and improvement. Honestly, one of my struggles was looking for a female-friendly fitness center. Since I prefer fun workouts and I never appreciated running in a treadmill, it was hard for me to look for a place nearby that would perfectly suit my preference. I previously got hooked with Barre but the nearest place that offers such is 30 minutes away from Fairview. 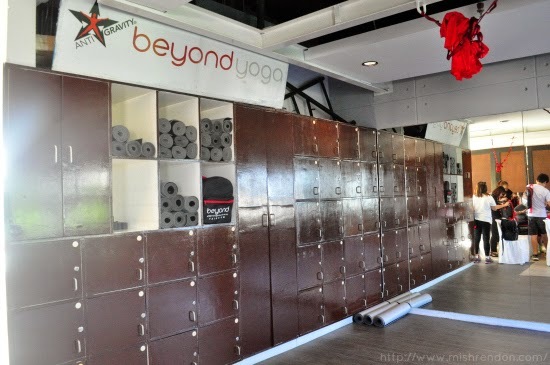 So it was quite a delight that Beyond Yoga has now opened a branch in Fairview. 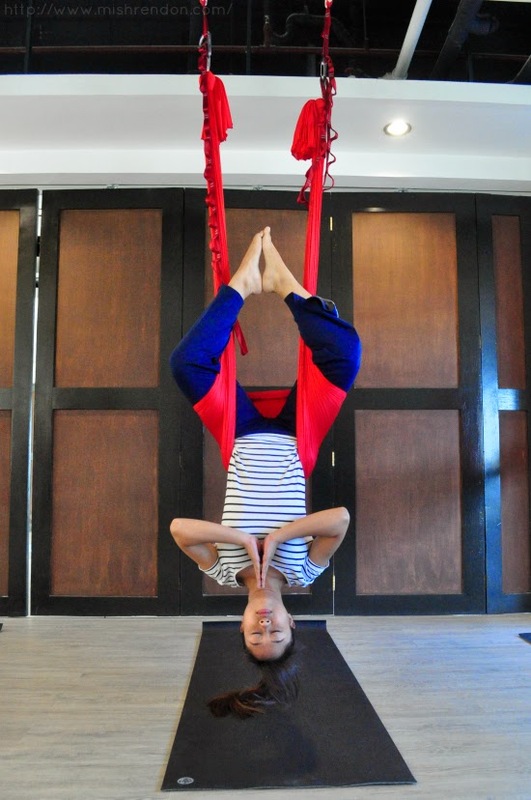 I initially got acquainted with Beyond Yoga through its social media accounts and I find its Anti Gravity Yoga very interesting. 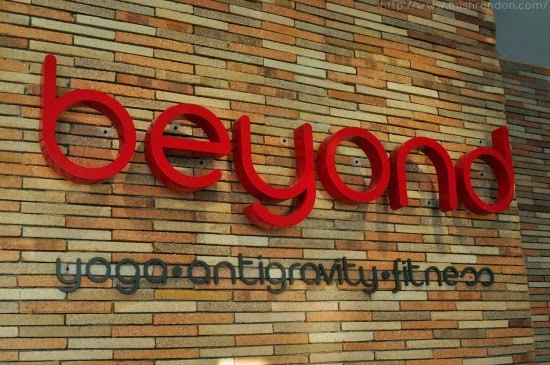 Beyond Yoga, by the way, is the exclusive licensee of Anti Gravity Yoga here in the Philippines. You could not avail of this kind of workout in any other fitness center here in the country! It currently has seven branches and the newest one is Beyond Yoga Fairview which opened just this year. Aside from Anti Gravity Yoga, it also offers Yoga and Zumba which I will discuss in detail later. The studio at Beyond Yoga Fairview is quite spacious. 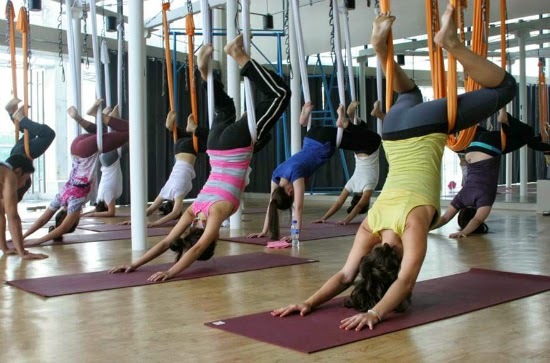 It can handle up to 16 students for Anti Gravity Yoga classes, while it can handle up to 30 students for Zumba classes. It is also fully air conditioned and well-lighted. It also has adequate lockers and changing and shower rooms for its clients' use. Beyond Yoga Fairview likewise offers free bottled waters and free use of towels so that you won't have to bring those when you go to class. 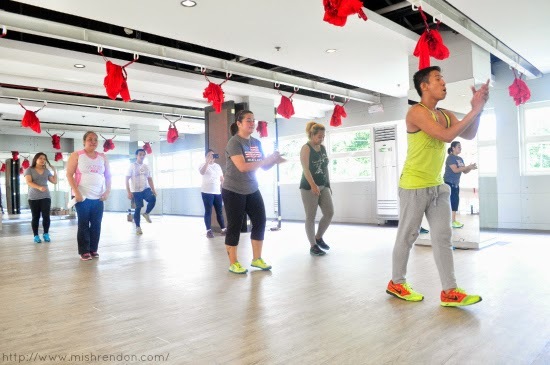 During our demo class at Beyond Yoga Fairview, we were able to get a glimpse of the three basic workouts that it offers: Yoga, Zumba, and Anti Gravity Yoga. The first we tried was Yoga under Teacher Cristine. The yoga class was very relaxing. During the routine, we were taught basic yoga poses such as the warrior pose, downward facing dog pose, and more. Teacher Cristine was very patient with us as we are mostly beginners. She helps correct our form and constantly reminds us to breath properly. Aside from proper breathing, yoga also helps to improve self-awareness, improve mobility and flexibility, strengthen immune system, and fight stress. Next on our list was Zumba under our Zumba Instructor, Teacher Allen. Please do not underestimate Zumba because I did. :p I thought it would be really easy and effortless since most people I saw doing Zumba are older people. But I was so wrong about this workout. It was really tiring. I was sweating buckets by the time we were halfway the routine and I felt slowing down by the time we were almost done. But I like how fun this workout was. As compared to burpees, I'd rather be doing Zumba. I love how encouraging Teacher Allen was throughout the class. Even though he knows everyone was already tired, he kept on reminding us to smile during the routine. 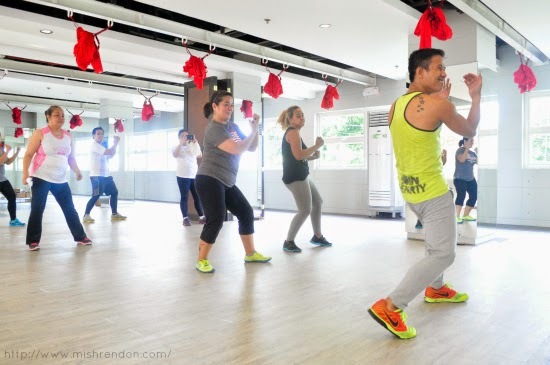 There are, by the way, two kinds of Zumba offered at Beyond Yoga Fairview: Zumba Fitness and Zumba Toning. Zumba Fitness is a combination of Latin dance, merengue, reggaeton, salsa and cumbia. On the other hand, Zumba Toning is quite similar with Zumba Fitness but Zumba sticks are utilized to help tone the muscles. Aside from muscle toning, Zumba is also a total body cardio workout because it burns up to 800 calories in just 1 hour. It also helps improve overall body coordination and helps promote weight loss. Lastly, we tried Anti Gravity Yoga. 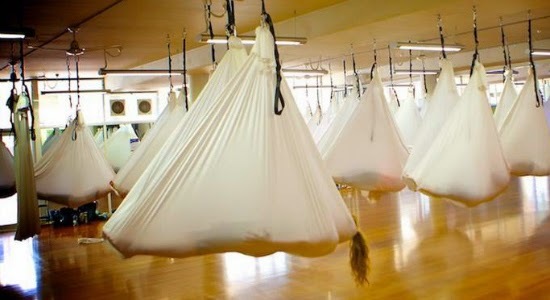 As I have previously mentioned, Anti Gravity Yoga is available only at Beyond Yoga here in the Philippines. Beyond Yoga Fairview regularly offers AG FUNdamentals for beginners and AG Flying Fitness for those who prefer a more intense workout. These classes usually last for 1 hour and 15 minutes per session. You could also have an AG Pilates and AG for Kids class scheduled at Beyond Yoga Fairview. During our fun and entertaining demo class with Teacher Myke, we were taught three basic kinds of inversions. But of course, safety first! We were first introduced to the anti gravity hammock apparatus. We learned that the said apparatus was invented by Christopher Harrison and he also developed the anti gravity yoga technique and perfected it in a span of 10 years. The hammock is absolutely safe to use as every portion of the Anti Gravity Hammock is rated for 2,000 pounds. And of course, one is only 3 inches from the ground during inversions so there is really nothing to be scared of. Among the benefits of anti gravity yoga include decompressing tight joints, relieving pressure while aligning the vertebrae, performing advanced yoga inversions without neck or back compression, holding challenging yoga postures longer and in correct alignment, stretching further with less strain, adding an entirely new dimension to your yoga practice, and creating body awareness while increasing overall agility. 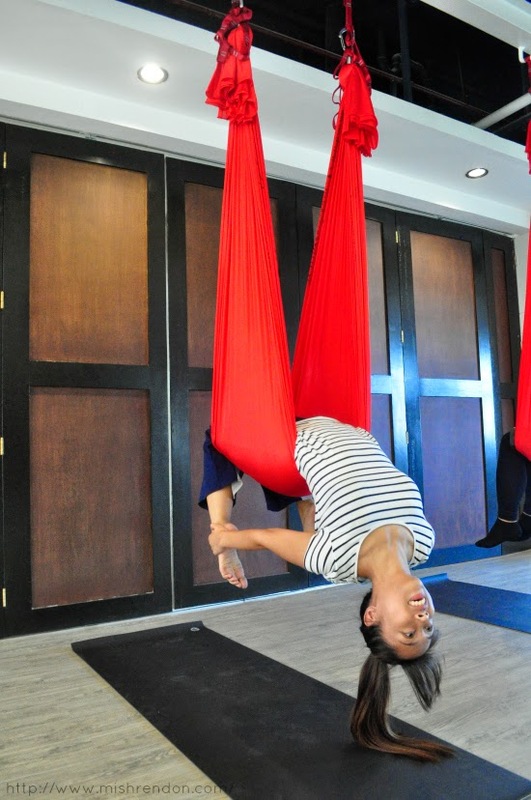 I was into gymnastics and dancing before so I was excited to try out Anti Gravity Yoga. I thought it would be really easy, but it was actually very different from what I was used to doing. Since safety is one of the top priorities in this workout, it is important to listen carefully to your instructor. Do all the steps you were instructed sequentially and do not do anything you are not told. The first time I was to do my first inversion, there was indeed a bit of fear. But once you conquered that fear, you would be more comfortable in doing the following inversions. Our class with Teacher Myke was really entertaining! He made everything seem so simple and he really encouraged everyone to do all the inversions. 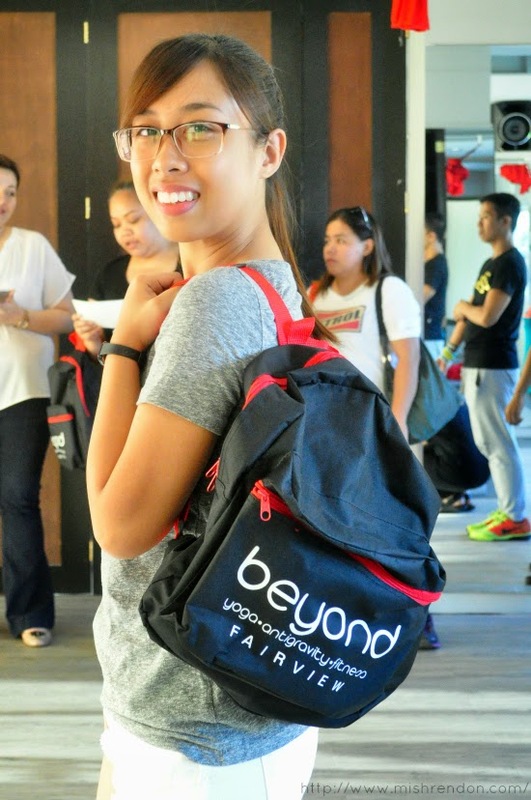 Attaining your fitness goals is now easy with the help of Beyond Yoga Fairview. With these fun workouts, there would be no reason for you to disregard your health. And all of the instructors at Beyond Yoga have relevant local and international certifications, ensuring high standards in practice. Moreover, their classes are personalized as much as possible to custom-fit your capacity and goal. They modify the classes for beginners and help you push harder as you progress in your training with them. 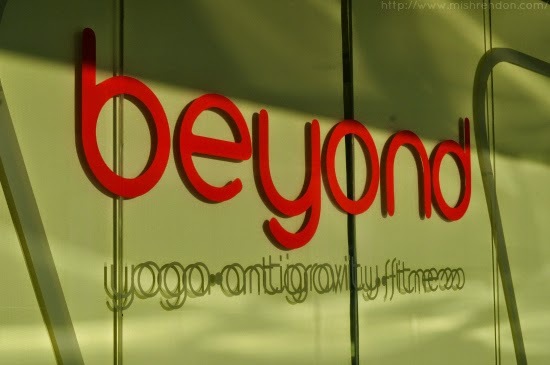 As of the moment, Beyond Yoga Fairview is offering loyalty program promo for their clients. It is also offering free trial class for Fairview Residents. All you have to do is present any valid ID to avail of the said free trial class. Moreover, it is conducting free Yoga classes at Ayala Fairview Terraces every Tuesday and Thursdays and Zumba Demo in different locations. The prices of these fitness activities vary. 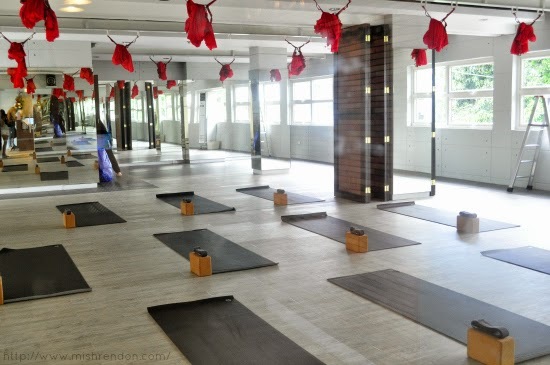 Yoga classes are priced at P550 for a single session. Dance classes are priced at P450 for a single class, while Anti Gravity Yoga classes are priced at P650 for a single session. Of course, these classes can be availed of at a much lower price when availed in packages. PS. Please follow me on Instagram (@mishrendon) to see more of my #BeyondFairview adventures!